The co-founder and CEO of Subway says hes got a solution to the minimum wage debate. 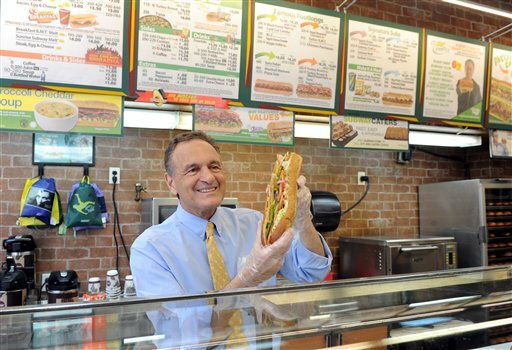 Fred DeLuca, co-founder and CEO of Subway, shows off a sandwich at a store in New York earlier this month. (Diane Bondareff/Invision for Subway/AP Images). There’s a simple solution to managing federal minimum wage hikes that would make life easier and more predictable for restaurant workers and owners. Just tie increases to the rate of inflation and forget about all the political back-and-forth.